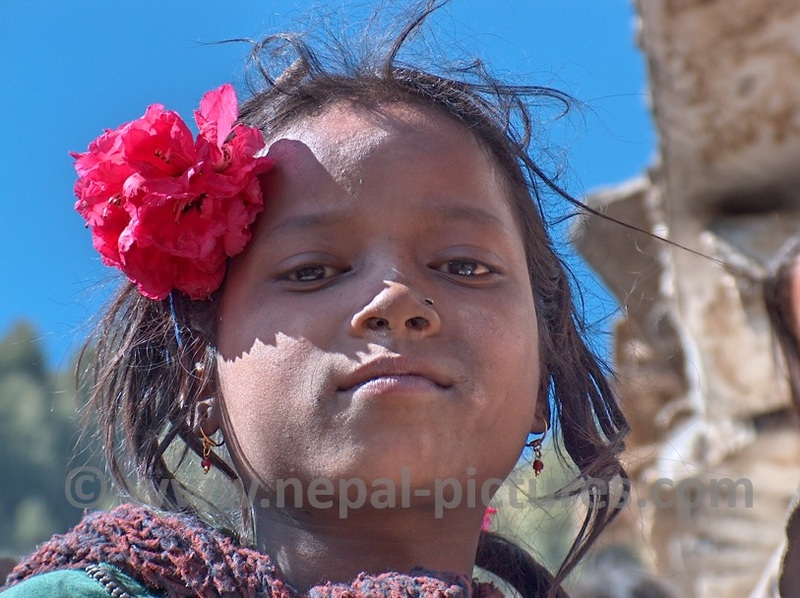 Photo of a beautiful Nepali girl with a Rhododendron flower in her hair in the village of Murma. Murma is a tiny village with a lot of basic wooden houses around 30 minutes walk west from Rara Lake in the western district of Mugu. 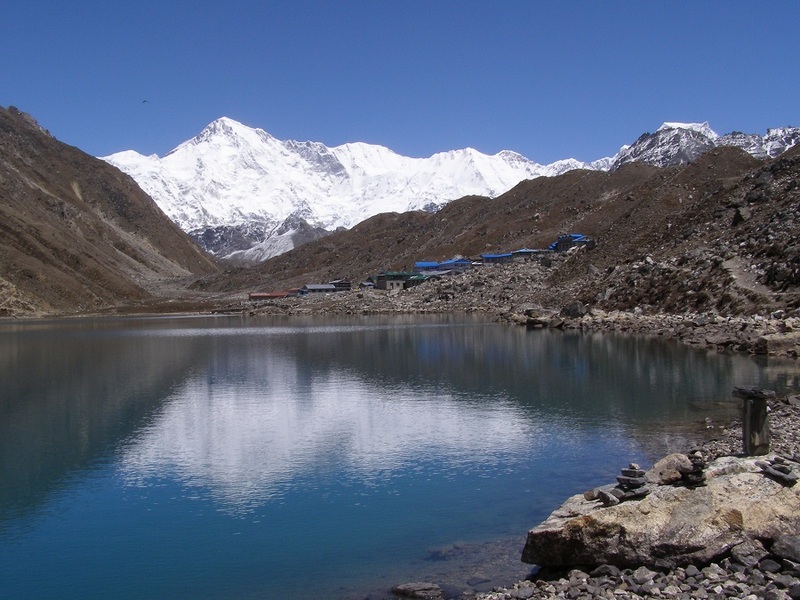 In Murma you’ll find a trail leading up to Murma Top where you’ll have excellent views of Rara and even into Tibet.